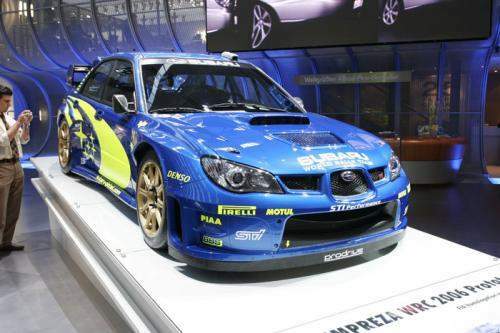 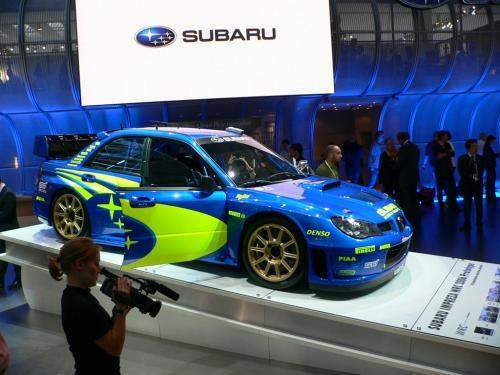 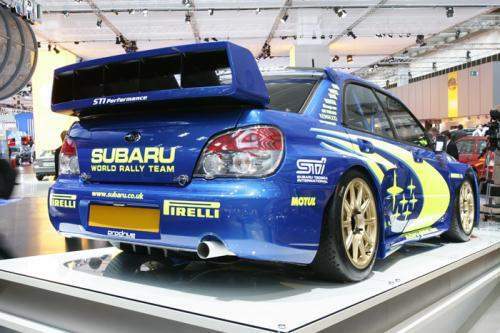 Fuji Heavy Industries Ltd showcased it’s 2006 Subaru Impreza WRC prototype at the Frankfurt MOtor Show this month. 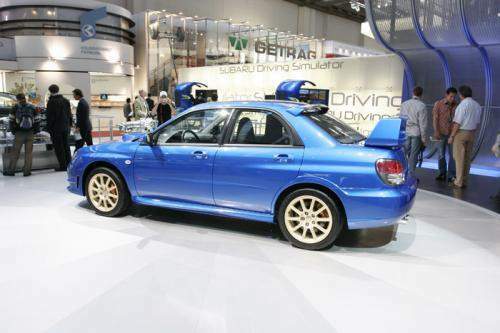 The car features the new Subaru corporate grille and comes with a revised All-Wheel Drive system. 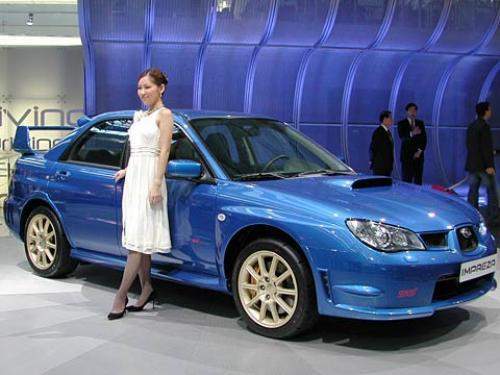 The new corporate grille which somehow looks like an inverted Alfa Romeo grille was first seen on the Subaru B9 Tribeca. 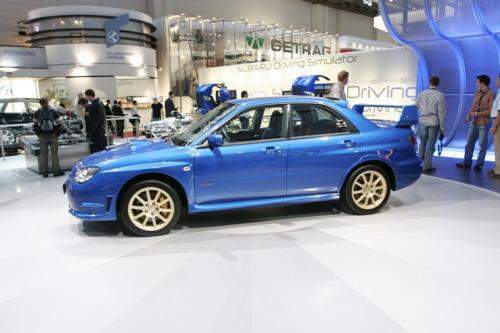 The 2.0 boxer engine has been upgraded to a 2.5 litre turbocharged boxer than makes 230hp and 235lb-ft of torque. 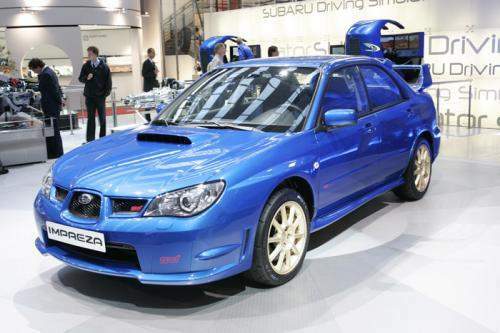 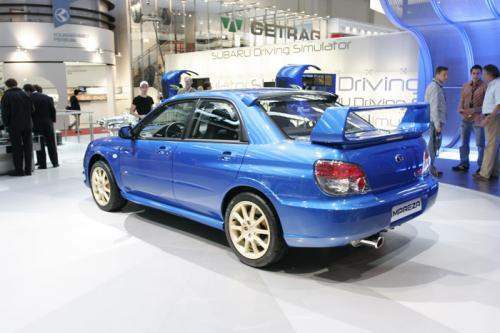 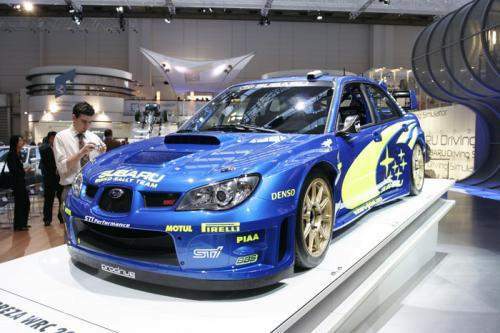 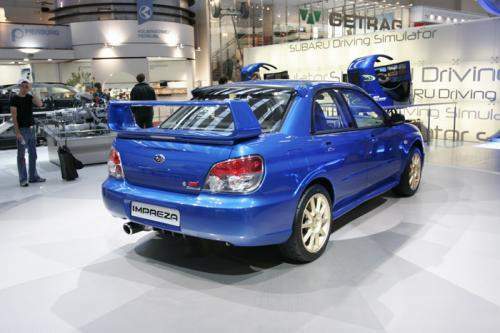 They actually had two cars on showcase, one is the standard Subaru Impreza WRX and one of their 2006 Subaru Impreza WRC prototype to be used for the 2006 World Rally Championship.